Bedwetting or sleep enuresis is a condition common in children, however, bedwetting is more common to affect infants and toddlers. Bedwetting is not something done on purpose by children, when in fact, children who usually experience bedwetting are commonly afraid to go to sleep, since they are afraid what their parents might think or react if they go bedwetting again. Parents should keep in mind that bedwetting is not a bad habit of children, bedwetting is a medical condition that can be outgrown by children or it can also be treated medically and not through punishments. As the child grows older, he or she will become more frustrated and even embarrassed about his or her bedwetting problems. 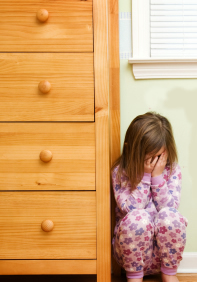 Not only the child affected with the bedwetting gets frustrated, but also the child’s parents as well. Here are some tips on how to control bedwetting. Bedwetting is usually associated with developmental issue of younger children. You can’t expect toddlers or even infants to stay dry all night, since their bladder control during sleep or their bladder control in general is not that developed yet. If your child is bedwetting and he or she is too young, it might be inappropriate and useless to stop your child from bedwetting. And if you are really alarmed or worried about your child’s bedwetting, you can consult with a pediatrician and see if your child needs treatment. Seeking consult with a pediatrician can assure you that your child’s bedwetting problem is not caused by other medical problems, such as infections, sleep apnea, diabetes mellitus, etc. 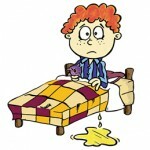 If your child is below 6 years old or even 7 years old and he or she is bedwetting, it usually is normal. You will just have to wait until your child outgrows his or her bedwetting problems. And if you noticed that your child’s bedwetting did not improve, consult with your child’s pediatrician. Limiting fluids taken orally before going to bed can help in controlling bedwetting in children. If possible, do not give your child too many oral fluids close to bedtime, specifically 2 hours before bedtime. Just minutes before you tuck your child to bed, accompany him or her to the bathroom to urinate. Letting your child urinate just before going to bed can decrease the likelihood of your child to urinate during his or her sleep.